In this blog post I am going to provide you as much insight about the process as possible so you can make an educated decision about what to pay for SEO and how to work with your chosen agency. How much is this going to cost me and tell me why? This is typically one of the first questions I get asked by business owners or marketing people like you, once they’ve decided to go with SEO as their primary traffic strategy. You hate that answer right? We all do. You hate it because you think it’s just another angle digital marketers use to squeeze more money out of your wallet. The reality is that there are many things that go into determining the right price you should be paying for digital marketing and seo services. I’m also going to give you my opinion about how SEO services will be bought in the future. In my time as a digital marketer, I’ve seen “SEO” sold from anywhere from $499 a month to $40,000 a month. Value can be found at each of these price points and anywhere in between – depending on your specific circumstances, but to make sure you are getting value you need to understand in detail what SEO is and why it’s important for your business. Amongst business owners there continues to be a lot of confusion about SEO, with many people still confusing Paid search and Non-Paid search. With Google being the largest referrer of search traffic, both paid and non-paid, SEO is critically important if you want to have a steady, consistent flow of targeted traffic to your site. SEO helps search engines understand what your page is about and how relevant it is to users. And if your pages are relevant and sufficiently authoritative, you will be rewarded with a high visibility search listing and traffic to your site. What do SEO’s actually do for their money? When you engage an agency to “do seo” for you, they traditionally do any or all of the following activities. This list is constantly growing along with the changing nature of the role of the SEO agency. Some of these activities are one-off and might only occur at the commencement of a campaign; others are ongoing. Read the list below and take the time to understand what your agency is doing for you. That way there will be fewer surprises and you’ll be able to ask more insightful questions. This involves researching your company, its competitors, your products, your industry and the online marketing tactics and strategies that are most effective in your space. Their content marketing activities to understand how they are using content for link attraction – a critical element in the current Google environment. This involves developing strategies for your business to help improve your sites’ performance in the organic search results. For most small businesses these strategies are mostly the same. Larger clients in competitive markets however, require a little more creativity to develop approaches that get results in the face of stronger competitors. When you have a strategic engagement that costs many thousands of dollars, you are paying for the experience and creativity of the SEO consultant involved. If you are investing a bunch of money in SEO you should expect a strategy that is more than just “We’re gonna get you these awesome links – 50 a month guaranteed. Keyword research is at the heart of everything an seo does. Even with the changes in Google where all searches are encrypted and the keywords people use to find you are not passed into your analytics, understanding keywords is still critical because they help you to understand your customers and how they search for you online. For smaller businesses with a small number of pages on their site, keyword research typically happens at the beginning of an engagement and helps the SEO team the preparation optimised page titles, meta descriptions and content improvement recommendations. On larger sites such as e Commerce sites keyword research is typically an ongoing activity that drives monthly optimisations to help get more and more pages ranking in the search results. This involves anything to do with optimising the pages of your website. Based on their research, your SEO agency will be drafting page titles and meta descriptions, recommending or making updates to content, creating new pages, improving internal linking, fixing duplicate content issues, setting up and configuring your blog, installing social sharing buttons. Pretty much anything to do with your site that will improve the search engines ability to find your content and rank it is what they will be taking care of. On site optimisations are where some of the biggest gains can happen. The simple act of including the right keywords in a well crafted page title often sees pages suddenly jump into the rankings now that Google knows what it is about. Looking at the spreadsheet below you can see the wide range of keyword phrases that have been included in the page titles of the category pages. This requires the completion of detailed keyword research which then drives the creation of the page titles and meta descriptions. An example of comprehensive onsite optimisations that target both the high volume keywords and a range of long tail keyword phrases. In the past your SEO agency might have been chasing links to these pages with these keyword phrases in the anchor text. The reality is that Google is smart enough to figure out what keywords are relevant to rank for. You and your agency should focus on building the overall domain authority and trust which will help these pages rank for the many keyword variations included in the page titles. With the importance that quality content now plays in getting found online, most seo’s now offer content strategy and or content development services. This can be as comprehensive as a Content Marketing Plan for your business or as simple as sourcing blog posts for your blog. Most agencies now offer content marketing as a separate service that they want you to purchase in addition to SEO. The reality is, given it’s importance, content strategy and development should be considered a key element in any ongoing SEO engagement. If your SEO agency is not doing this for you then you need to be asking hard questions about why not? Rich snippets simply refers to the extra bits of text and images that appear around your content in the search results. Google Authorship is a type of rich snippet which is no longer being used. Others include star ratings on product review ratings, recipes, videos. For a simple explanation of what Rich Snippets are check out this post. Reporting is an activity that can vary greatly in terms of what you get and the time invested in producing the reports for you. At a minimum you will (or should) get a set of standard SEO reports that might be as simple as some traffic reports and ranking reports. Better SEO agencies will provide information on goal conversions (whether they be sales, sign ups or other goals) and the contribution that SEO or organic search made towards these goal conversions. Larger clients with more complex businesses should get more than just a data dump. They should receive “insight” into what is happening, why and what this means in light of your business goals. Information about which traffic sources are driving the best (or lowest cost) conversions, information on competitors and about updates in Google’s algorithm and what it means for your strategy. Expect to pay extra for additional reporting or insight above the standard reports that everyone receives. Broadly speaking this is the cost of taking care of you, the client. It includes the time an account manager spends talking to you about your campaign goals, briefing the SEO team and meeting with you to discuss your report and results. If you are a small client you will typically get only nominal account management which might be at the on commencement of an SEO campaign and monthly when the report is delivered. If you are investing under $1,000 a month don’t expect to be talking the ear off your account manager unless you want to reduce the time spent on actually working on your account. I’ve seen agencies where this role is done by a dedicated account manager and agencies where the account management role is taken on in part by an seo campaign manager; that is a technician who knows a lot about SEO. There are advantages and disadvantages to both approaches. With a dedicated account manager, the agencies SEO team spends more time actually “doing SEO” for you while the account manager answers your questions. However in the situation where you are an enterprise level client you expect to be able to ask questions and get insightful responses quickly. Sometimes having to go through the account manager results in miscommunication via Chinese whispers and wasted time. If you are a big enough client ask to talk directly with the seo campaign manager to get your technical questions answered directly. Just be aware that as an enterprise client, you will be paying for the account managers time whether you are aware of it or not. Remember from the agencies perspective, this can be a massive time and cost sink if not managed correctly. As long as both you and the SEO agency are aware of the account management cost and both of you have matching expectations, any friction can be minimised. You can get the information you need while the agency can get on with doing the work needed to get you results. Now to the Meat n Potatoes. There are various pricing models for the delivery of SEO services. The choice depends on your specific needs and the size of your organisation. Hourly rates are often used when the work can be broken into many discrete tasks and you juts need those specific tasks done. The benefit is you can easily allocate a discrete cost to each activity and make sure you are not getting charged for inefficiencies. However expect to pay more per hour to compensate the consultant or agency for the costs associated with managing time and billing at an hourly rate. If you are using hourly rates for anything make sure you review the output after an agreed upon set of hours to make sure you are getting value. Most SEO agencies have a list of services they offer for a fixed price. Typically these are the component tasks that make up a larger seo campaign. Fixed price services are an ideal way of testing out a new SEO agency before committing to a longer term retainer. Where your needs are more complex or you have a fixed period project like a new mini site to build, SEO agencies are open to quoting on a project basis. Depending on your projects needs they will provide you with a custom proposal to conduct specific SEO work on your behalf. Project based pricing is good when you already have a creative agency or web design company doing most of your work and you need the services of a real SEO specialist to take care of your SEO needs for the life of a specific project. The retainer model is the most common form of pricing model in the SEO industry. Retainers make sense because of the broad ongoing nature of SEO work. Most SEO campaigns have a discrete set of activities which logically follow a set order. In the beginning agencies do the research. They make and implement recommendations about fixing technical issues on your site. Then they move onto ongoing marketing activities. This way each month specific activities are conducted by the agency for you. Then each month you get to assess how much this activity contributed to the online performance of your business. Agencies like retainers because they can budget revenues and costs and plan activities for the months ahead. Collaborate with the agency in the development of a 6 or 12 month campaign. Involve the agency in your traditional marketing plans for the year ahead so they can tailor their strategy to leverage any offline work being done. Get clear about how long things take to happen. SEO takes time so in those early months track the agreed upon activities in the absence of high search visibility and sales which might take a few months to kick in. This gives both you and the agency visibility into what is going to happen and when. That way they can plan their activities around your traditional offline marketing activities while you can manage your expectations as to what the results will be and when. Retainers are typically offered as Packages at different price points. In the next section I’m going to discuss these in more detail. If you are interested in what pricing models to avoid check out Four Pricing Models to avoid on EConsultancy by Ben Potter @BennaP. Which SEO Package Should I choose? The SEO Package is simply the best way to sell SEO retainer services. There is a package to suit each budget and requirements level. This is done for several reasons. The first is that you have the ability to self-select depending on your budget allowing you to test SEO at a price point you can afford. The second is pricing packages allow agencies to create a standard set of services, which they know in advance how much it will cost them to deliver. This allows them to budget revenues and costs and resources for the delivery of SEO services. Suitable for companies just starting out, or which have a single local geographic area. Think local retailers, local service providers such as plumbers, electricians, doctors, cosmetic surgeons, new small commerce businesses. These campaigns typically should include local search optimisation to help you rank for local searches. The type of work you should expect from an agency would be the acquisition of local directory links and citations to support their optimised Google My Business listing. An example of this includes sites like Shire Learning Strategies, a local business providing Davis Dyslexia consulting services within the Sydney region. Other local businesses include those like City Property Services which are a Brisbane commercial cleaning company which are leveraging local ranking strategies to get found. Suitable for businesses with an established online presence, which target a national or international audience or operate in more competitive niches. Think multi-unit retailers, larger online retailers, wholesalers, larger brands making the move into online marketing. Examples include brands like Lucaffe who sell a range of ESE pods via a retail outlet but are expanding their brand online via seo and content marketing. Other types of businesses that would potentially fall in this pricing bucket include businesses serving a national audience like Benchmark CBS which specialises if delivering office fitouts on a national basis and local dentists like Kawana Dental. Budgets beyond $5,000 are typically for enterprise businesses targeting national or international audiences in very competitive markets. Think car insurance, life insurance, travel, tertiary education, credit cards, home loans and personal loans. An example of this type of enterprise client is Tours to Go. They are a national travel tours company selling a wide variety of highly competitive products. The site has many thousands of pages which require optimistions, copy and content creation. It’s important to make sure pages have the opportunity to get indexed so they can rank. For example if, you look at this page promoting tours of the great ocean road, you can see the opportunity to expand on page content, site load speed and keyword targeting. At this level an agency should have a strong focus on technical seo as which has the potential to benefit the site much more than a few more links. In addition, the agency would be providing strategic content marketing advice as well as competitive analysis and tracking. And your level of understanding of what you are engaging the SEO agency to do for you. The more educated you are about online marketing, the better you will be able to choose an SEO package that suits your business needs and the less chance of mismatched expectations between you and your agency. I’ve always disliked SEO guarantees. Many (not all) of them prey on the ignorance of the customer and their trust in the agency to do the right thing. Here’s the problem with that statement. The guarantee typically does not state in which search engine so it could include Yahoo or Bing which provide very little traffic when compared to Google. The agency offering the guarantee typically selects easy keywords that might have very little search volume or competition and are easy to rank for. Why are they easy to rank for? Because they are completely irrelevant and no one else in their right minds is chasing them. Some of the keyword phrases they include as evidence of the guarantee could have been ranked for by simply publishing a blog post with the keyword in the title. Furthermore, keyword rankings in and of them selves have long since lost their position as the number 1 KPI or metric. There are broader metrics that are better aligned to your business goals or are better indicators of improved organic search performance such as Non-Paid Organic Conversions or the # of unique keywords bringing visitors to your site. So take SEO guarantees with a grain of salt and don’t rely on them for assurance that you are getting a no risk deal. I bet through this blog post you’ve been waiting for this section right? How to I keep my agency accountable? Most areas of conflict arise because of issues around expectation management. That is you did not get what you thought what you were getting or the agency thinks you are demanding more than they promised or sold you. What are you doing for me? If you don’t understand what the agency is doing for you then you will get frustrated when their bill arrives. Make sure before you start you have a detailed campaign plan that breaks down the proposed SEO activities by month. If you don’t know what these activities are, make sure you ask your account manager in advance. If you are looking at the wrong metrics or your expectations about how long positive results are going to take are misaligned then you are going to get really frustrated. Before the campaign starts, make sure both you and the agency are clear on what your business goals are and how the SEO agencies activities are going to contribute to helping you achieve them. Decide on the metrics that you are both going to track and make sure the metrics tie back to your business goals. Create a simple report tracking these key metrics and just focus on them. Chasing vanity rankings is no longer a viable goal. SEO is now a much broader more complex activity now than ever before. This SEO thing is taking far too long? If you need or expect instant traffic then SEO might not be where you should be investing your online marketing dollars. Safe, sustainable SEO takes time to implement and get results but once your site is performing well it’s the gift that keep on giving. If you need instant traffic then you might be better served by using Paid Traffic such as Google Adwords rather than SEO. To learn more about the discussions that occur between agencies and clients watch this discussion between @rand and @dejanseo about the future of SEO and agencies. The SEO world has changed massively in the last two years. In the past, you were able to “manipulate your way to top rankings” with paid or artificially created links. Many companies were happy to take the risk of link building this way because the payoffs from a page 1 ranking were huge. Google is getting more effective at detecting and penalising ranking strategies that go against their terms of service. How will SEO be priced and sold in the future? Here are some of my thoughts on how SEO services will be priced and sold in future. There is going to be a large growth in agencies offering you content marketing services, whether included in your SEO campaign or sold separately. It’s already happening now. At the smaller end of town this will be in the form of blog content creation services and social media services. At the top end of town in the form of strategic content marketing campaigns covering content strategy, content development and content promotion. Good SEO agencies are going to change the conversations they are having with you as a business owner. They will be talking with you about sustainable SEO, content marketing, social media and it’s importance as a part of content promotion, new ways to measure SEO performance. If you are not having these discussions you are talking to an agency that hasn’t kept up with the times. SEO guarantees will be gone. A guarantee implies they can control the outcome. SEO agencies will stop offering these as business owners like yourself become more educated. Retainers will continue to be the dominant way to provide SEO services. The composition of work done will change however. Think more content marketing. There will also be a large growth in providing educational services where your agency will help you and your team understand the massive changes in online marketing and how to take advantage of them in your business. There will be less “SEO Services” and more “Online Marketing Services sold. The reality is that while SEO is a critical part of making sure your website gets visibility in search, now more than ever it is just one part (albeit an important one) of the full range of online marketing services you need to bring to bear to make your business successful online. For some insight into how the responsibilities of SEO have changed in the last few years check out this blog post from Moz.com called The Responsibilities of SEO have been upgraded. SEO & PR. At the end of the day they do the same thing. There is going to be more focus placed on how the traditional PR and promotional activities you implement can be optimised to benefit your online visibility. Here are the key things you need to be doing as a business owner to help ensure a successful SEO engagement with your agency. Educate yourself. A more educated business owner or manager can make better decisions. Too busy to learn? That’s not an excuse anymore is it? Subscribe to the Moz.com Blog and review the content weekly or choose an agency who is interested in educating you. Have better discussions with SEO providers. The ideal SEO agency should be trying to educate you about why you need to invest in content, blogging, audience development etc. If they are simply talking about tactics like article marketing, comment spamming, or #1 rankings, ranking guarantees then walk away. They haven’t kept up with the times. Demand and work to a detailed plan. Have a detailed plan in place so you know what is being done each month. The plan will help manage your expectations and give you an assurance that you are getting value each month. Embrace content marketing & social media. Miss the old days when you didn’t have to invest in blogging and content? Too bad. You now have the budget for it because within 2 years the old paper-based Yellow pages will be gone and you can invest that money in content and building a social media audience that can be used to promote your content. Great examples in boring or traditionally “hard to write for industries” like used cars, industrial are the Used Cars Buying Guide created here. Choose the right metrics. Take the time to work with your agency to develop a simple way of tracking the right metrics for your business. There are a ton of good articles about this. If you and your agency agree on these metrics up front there is less chance of disagreements down the track. SEO as a service you buy has evolved massively in the last two years. So should the way you engage someone to “do SEO” for you. In all likelihood, the retainer model will continue to be the most popular way to engage an agency to deliver these services for your business. However what will change is what you get for your money. More content marketing, more social media, more education and consultation. As a business owner and manager, you need to get more educated about what is being done for you and how long it will take to deliver a return for your business. Got question? Agree or disagree with anything I’ve said? Please comment below and let’s have a chat. 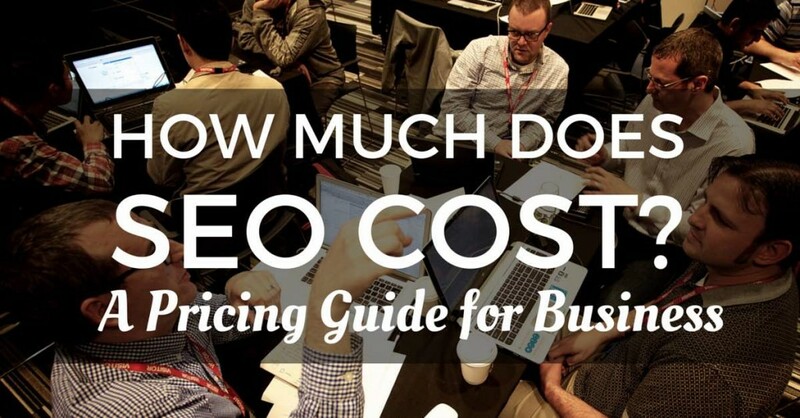 Another great read which was sent to me by John Romaine of Works Media is his article How Much Does SEO Cost? How Much Should You Be Paying? which gives some great insight into the confusion that exists between business owners and seo providers as to costs. What I really found interesting was his approach to calculating the monthly cost by equating the paid cost of the traffic. It’s a good read, check it out. What a great article. At times, it seems like banging our head against brick walls discussing SEO with clients, both current and prospective. But reading your article has made me feel so much better that what we’re offering and why, is on the right path. A great article. I truly enjoy working with small, local businesses because the impact can be staggering and you know it is truly helping a family. However, many small business owners are hesitant because they have either been burned in the past or they just don’t understand SEO. I like this and will be referencing it when I talk to potential clients in the future. Hey Mitch thanks for the comment and I appreciate you sharing with any small business. Amen to your point re small businesses. (Heck I am one 🙂 ) One strategy that I’ve used in the past to demonstrate the value to sme’s is to get them to commit to doing the keyword research and then the onsite optimisations. Inevitably this simple fix sees most Small websites jump into the rankings in a short timeframe. Even if traffic boost is not massive the client can “see” something positive has actually happened. Then its an easier job to getting them on an ongoing campaign to improve search visibility. I love Onsite Optimisation – It’s the gift that keeps on giving. Excellent recap! Being at the same time the Head of Seo Service of a big search agency in italy and a consultant on my own, i tend to experience the polar opposite situations. As Agency i usually deal with retainers, some of the contracts have been renewed for years even before my entrance in the agency. As indipendent consultant, being an activity i usually do in my spare time, i tend to get some limited jobs for a fixed price: this configuration allows to me maintain a certain quality, even when the client has a limited budget. If i get larger jobs i refer them to the agency and it there’s not enough budget i refer them to trusty consultants. Evolving our craft is not easy: clients are used to a certain output and it’s difficult to convince them that we are adapting to the market… for their own sake! I need long time to translate it. I think you need a long time to write it. Perfect – thanks for sharing! What a great post! I really envy your writing on this post, you have written a post i always wanted to write but didn’t. I am pretty much like an SEO agency in your post, yeah, pricing problem matters a lot for clients, they kept asking me “how much”, “how long time to see results”, “can you guarantee it”, they seldom ask “how will you do it”. Your post includes a lot a valuable information for clients and prospects to digest, relationship between the 2 parties and the FAQ. Thanks for sharing this AMAZING POST with us, and i will curate this post in my post and link to it in zengliang.me though a Chinese blog targeting Chinese audience. Thank you Brian for your comment. It’s interesting that you mention your clients never ask “how you are going to do it” for them. And that may be the most important question to ask given the potential impact of doing seo incorrectly. Great Article. Really appreciate your opinion on this and think you made some excellent points to bring up with clients!! Thanks Amber. I appreciate the comment. I am searching for the SEO services company, and I found your post, this is very good article, now I have some ideas about what should I expect from SEO services, thanks. Hi Chris, I’m glad it was useful to you. Thanks for your comment.